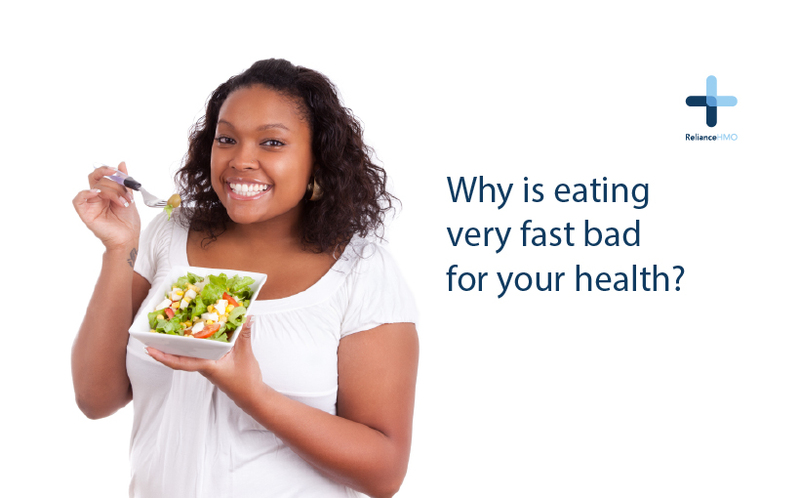 Why is eating very fast bad for your health? Do you eat very fast? Most people have been told repeatedly to slowdown while eating and chew food properly before swallowing. Yet, some people continue with the habit of eating fast. This behavior might change if people knew what the speed of eating can do to their body. 3) Makes you eat more – To feel satisfied after meals, the brain and the stomach have to be in sync. If you don’t chew and just swallow, the brain-stomach coordination will break down and you will end up eating more than what you need to. 4) May choke you – More than 30 different muscles are required to swallow, and if eating in a hurry, you increase the chances of food going down the wrong pipe, which can choke you.